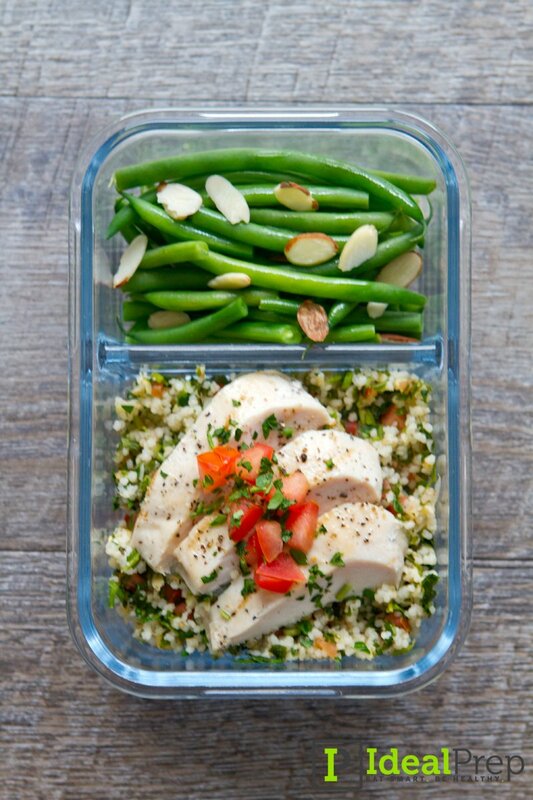 With all of the worry about toxic substances in plastic getting in to your food while microwaving, whether your plastic is BPA free and plastic absorbing food germs- it’s totally understandable if you want to make the switch to glass meal prep containers. 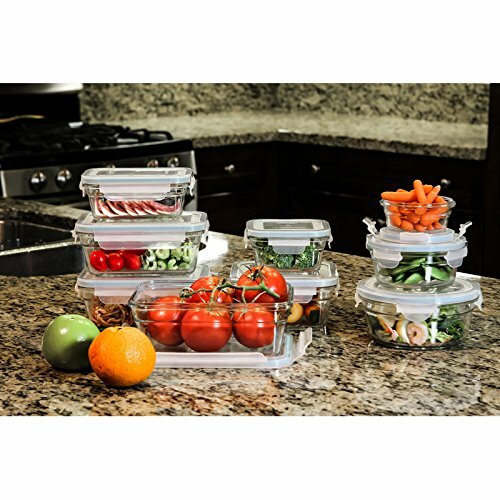 Glass meal prep containers have a non-porous surface that doesn’t absorb food and germs. They can also be safely washed at high temperatures in your dishwasher for sanitizing. 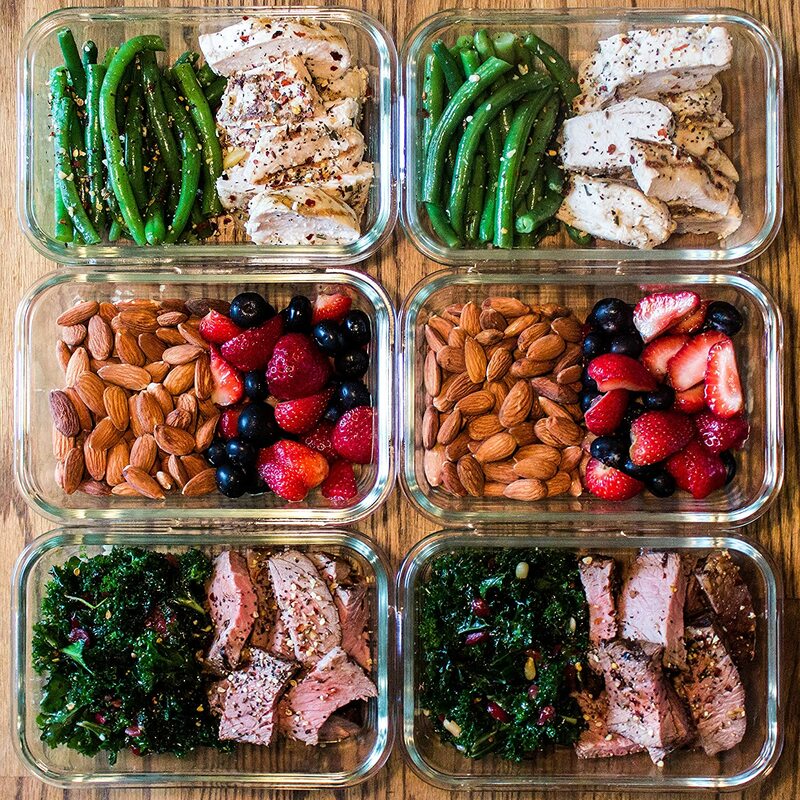 Buying glass meal prep containers also saves you money. Because glass is usually more expensive than plastic, at first glance, it seems like the switch to glass will be more costly. But, unlike plastic, glass is pretty much a one-time investment since they last forever. Therefore, it actually saves you money in the long run. This glass container with a glass divider is rare to find! Usually only plastic containers come with a divider, that’s why this glass container is my favorite. 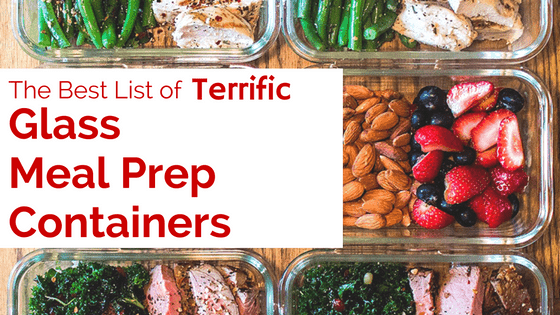 It’s perfect for meal prepping because you can prep your entire meal without having to worry about your food mixing and changing taste. It’s super high quality and made from 100% premium borosilicate glass, meaning it’ll last forever. And if for some reason it doesn’t, they offer a full 1 year guarantee which is awesome. This container is also leak proof and has a removable silicone seal to make it easy to clean and maintain. This budget friendly glass container set comes with 3 containers for just $30- making it just $10 each glass container! This set is oven safe up to 450°F! So you can make your meals right in the container and then put them right in the fridge or freezer. You can also reheat your meals in the oven, if you’re home, for a fresher taste. This glass meal prep set is also 100% airtight and leakproof! 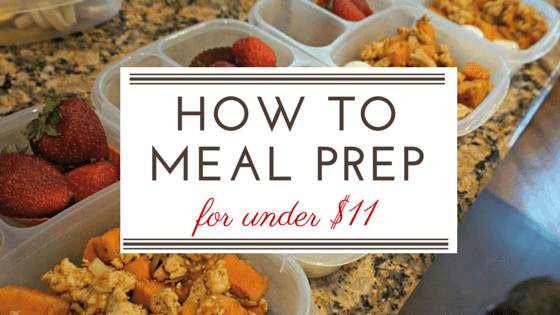 One container holds 28oz, so it’s perfect for a well portioned meal. You can also easily fit it in to your lunch bag. This set is a steal! This set is great because it comes with a variety of 9 different containers in different sizes for an amazing price! That means there is a container to meet all of your needs. It is also oven safe so you can cook your meals right in the container and reheat them in the oven as well. These containers are also odor-free, stain-proof, and air+liquid resistant and come with easy latching lids. This container is both fun and convenient! 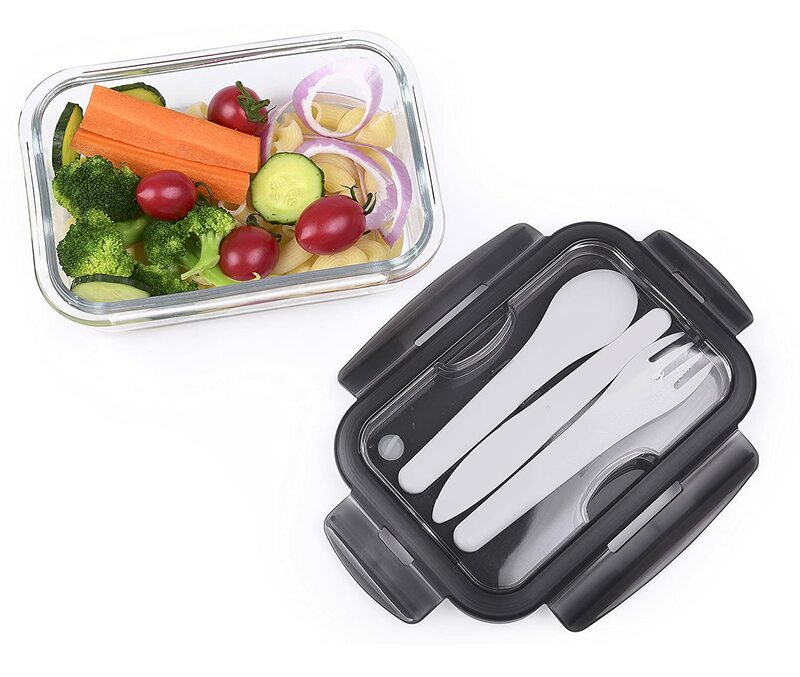 It comes with cutlery already attached so that you will never have to waste time hunting down cutlery on your lunch break. It is also made from high quality food grade materials, keeping your 26 oz of food safe. To top it all off, it’s odor proof, stain proof, leak proof and spill proof. So you don’t have to worry about any red liquids spilling or staining! This is a great container to have for yourself AND for your kids! I have found that Amazon always has the best prices on glass containers. The ones at the grocery stores are way to expensive and so are the ones at Target. I recommend comparing the prices to anything you see in store to Amazon before purchasing. You can check out the Amazon Warehouse for even better deals. 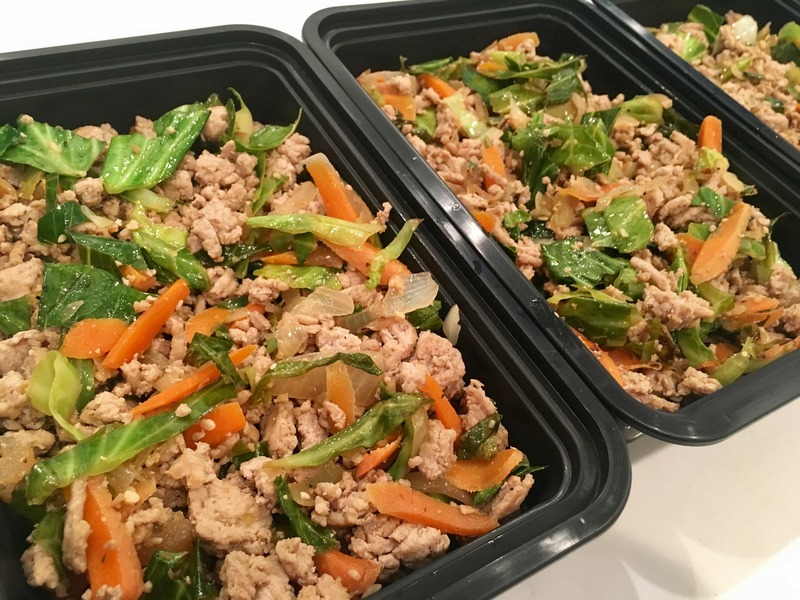 Now that you have your meal prep containers, make sure you get your full 21 Day Clean Eating Meal Plan! 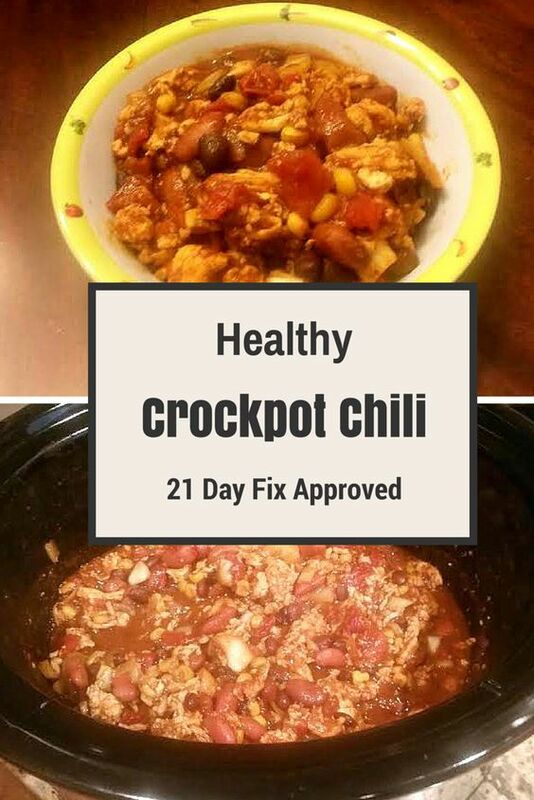 Includes over 40 delicious recipes, weekly grocery lists, calories, portions, and nutrients already tracked and space to track results!